I’m excited to introduce you to a newer online fabric shop, Honey Be Good. HBG specializes in organic and sustainable quilting fabrics. Organic cottons (you can read more about them here) are a fairly recent addition to the quilting- fabric world, and the variety is growing quickly. Some are from familiar designers such as Amy Butler, Betz White, or Robert Kaufman solids. Others are from new companies such as Cloud 9, Daisy Janie, and Monaluna. Have you seen the Wombat Wonderland by Saffron Craig? Had you ever dreamed that you could finally get pastel wombats on fabric? Well, now you can! And it’s not just quilting-weight cottons that are available. There are also prints in 7 oz canvas weights for totes, home dec, and hats. Karen of Honey Be Good fabrics is generously giving away a $25 gift certificate to one of you. To enter to win, check out Honey Be Good and then leave a comment here, telling me what you’d buy with that gift certificate. Giveaway closes Saturday, September 29, midnight MST. GIVEAWAY CLOSED. I’d get an assortment of Pure Organic solids by Robert Kaufman. Thanks for the chance! You can keep track of the latest arrivals and sales at Honey Bee Good fabrics by following them on Facebook and Twitter. I would probably buy the birdie sling amy butler kit! I would probably by the Nursery Flannel – Crumbs | Grass- adorable and then I could make more receiving blankets for all my friends that are having babies! Thanks! Mmmm…either some Amy Butler or some of that Simpatico. Or both. Love the Crepe Myrtle in lavender, and the Havana Scoot Scoot Pink!! cloud9 looks great and some of the smaller and newer designers seem to have great fabric!!!!! I think I&#39;d buy some Simpatico! The Allegria fat quarter bundle… totally! I am seeing pillows!!! I would probably buy the fat quarter bundle of Alegria. I love the colors in it. Also, I wanted to pin the shop to my Pinterest board but no images come up with the name of the shop on it. I don&#39;t know if this can be remedied. I think that I would get some &quot;Sweet Safari&quot; to go with the matching embrodiery patterns I have. I&#39;d definitely get some Simpatico! I like Stitch by Betz White – 10&quot; Squares. Thanks for the giveaway! Unfortunately some of the $25 would be eaten up by international shipping, but the sale sections has some lovely fabrics and I could build up my stash with 2 or 3 half yards. English Plantain and Variegated Butterflies from Across the Pond (how appropriate!) would be top of my list. Grey Dogs from Sarah Lee Parker is a hoot! I love all the cloud 9 fabrics! Thanks for the giveaway. I would buy some Shades of Grey and Tilly! Thanks for the chance! Oooo I love the chevron from Stitch by Betz White. What a cool shop! I would pick some prints from the Tilly line. Love those! I think I would get some of those solids (always need more solids), but I loved the Stitch Garden by Betz… Love! Thanks for a great giveaway! I would buy some Stitch by betz white. I made a quilt with it earlier this year for my sister in law and have been bummed that I didn&#39;t have any leftover since then. Oh my, I would have to get some of the Wombat Wonderland. It&#39;s so adorable!! Thanks for the chance to win. I&#39;d love the Wombat Wonderland – Sunflower Garden, by Saffron Craig. I would buy some Amy Butler yardage – I&#39;ve always wanted to make a picnic quilt with her fabrics. Thanks for the chance to enter Amy. I love the organic willow batch of fat quarters and would most likely put the gift certificate towards those. Fingers crossed!!! This is a new store for me to look at.<br /><br />I have seriously been crushing on Cloud9 Alegria and I think I would have to get a bundle of this and some yardage. I would get some Havana Little Blue Birds, super cute! I&#39;d buy as much Across the Pond as I could get my hands on. Stitch by Bez White. I want to make a smock top with it for my kindergartener. I&#39;m lovin the Nurshery flannels. Thanks for sharing with us. I love Geocentric Canvas – Zigzag Coral it would be such a cute tote, and makeup bag. I also love the Alchemy Organic – Imperial Paisley, not sure what I would make with it but it would be a cute skirt. I&#39;d buy some Simpatico! Thanks! This looks like a great shop. I love the Geocentric Canvas – Zigzag Coral it would be such a cute tote, or little zipped bags for anything. 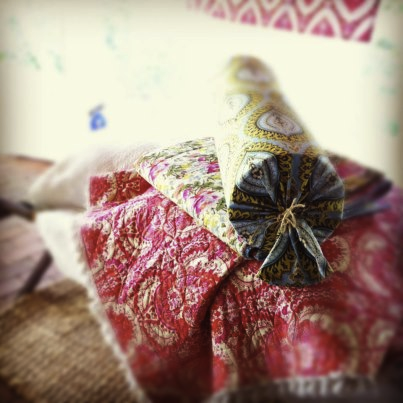 I also love the Alchemy Organic – Imperial Paisley not sure what I would make with it perhaps a skirt. Am I the only one who can&#39;t see any pictures on this blog post? Any how I would but patterns like Hour Glass. Oh I love to find new sites, thanks for sharing! I would choose Stitch by Betz White. Thanks for the chance! I love the Across the Pond line, so I&#39;d probably scoop up some of that! 🙂 Thanks for the chance! I would probably buy the Birdie Sling kit by Amy Butler. I love making bags! I would purchase some of the simpatico line! If I won, I would buy the nursery flannel summer picnic bundle! I&#39;ve had my eye on Cloud 9 Geocentric Circles in Metal for a little while. It would make a cute bag. I loved the Wombat Wonderland by Saffron Craig! I love the cloud 9 Alegria line with the birds. Will check out her shop. THanks. Love the Alegria – Walkabout fabric, would probably go for the fat quarter bundle though…more fun to have coordinating fabrics rather than a single print that just gets petted and never used. Great giveaway! I&#39;d love to get some nursery flannel or alegria! organic cotton thread is calling my name! I would spend the lot on some Cloud 9 &#39;Alegria&#39;!! Wombat Wonderland is super cute! Thanks for the chance to win! I liked the havana birds probably paired with a stripe! I love the look of Organic Willow! Thanks for the sweet giveaway! I love the simpatico line and have been itching to get some! I would get some Simpatico! I&#39;d get an assortment of Pure Organic solids by Robert Kaufman. Thanks for the chance! My favorites are the Wombat Wonderland (Love the Softies panel!) and just about everything by Cloud 9! Thanks for the giveaway! I will probably get Harmony Art Sateen. This would be the first item in my cart Alegria – Walkabout. Then I&#39;d add a few more prints from the Alegria line. I would buy some of the Amy Butler Soulcollection to back my farmers wife quilt. So hard to choose! But probably some of that Wombat Wonderland fabric, its adorable! It would be between the Alegria FQ Bundle and Safari Sweet 10 in squares. Such cute fabrics! If I had a gift certificate (wouldn&#39;t that be wonderful! ), I would purchase the Zoofari fabrics – they are just adorable! I think Alegria – Fat Quarter Bundle is so pretty! I would love it! I love Havana and Wombat Wonderland! I would stock up on some nursery flannel, thanks for the chance to win! i would select circles metal in geometric canvas for a garden tool apron and gardening hat should i ghance to win the gifty. thanx for the opportunity to do so. I love Amy Butlers fabric. And this is boring, but I would stock up on some pretty thread. I am still trying to collect a good stash of fabric, thread and such. I&#39;d buy the wombats!! I saw them on Katy&#39;s blog the other day (I&#39;m a ginger monkey) and fell in love with it! I love Zoofari Words and Animals! If I won the gift certificate, I would use it to buy several Amy Smart patterns. I like the canvas&#39;s! I can&#39;t choose which one I like best. Some of each maybe? I&#39;d put it towards some yummy Organic Willow. The pinks/greys are so soothing! Now that I know about the Wombat Wonderland that is what I will get. It&#39;s such a sweet print. Thanks for the giveaway! I would like to get some of the Alegria line. It&#39;s gorgeous! No question: I&#39;ve been wanting Simpatico since it came out. But the Flying Geese and Havana Waffles are really tempting too. Thanks!! The Kalamkari Medley bundle in Indigo! There were tons of gorgeous fabrics though so anything goes. Thanks for the introduction and chance to win! I would buy some more of Daisy Janie&#39;s Shades of Gray fabrics (on sale, too!!!). Thanks for the introduction to this great shop! What a great shop with beautiful fabrics!! I would buy the Simpatico fat quarter bundles- in ALL 3 colors- gorgeous!! Thanks! I love the cloud 9 simpatico fabrics, I think I would get some of those! Some of the Cloud 9 prints, especially the smaller ones, are interesting. If I won, I might try some of those. Thanks for the introduction! From the Honey Be Good shop I like the Diasy Janie Organic fabric collection of Tilly. I would buy half yards until none of the $25 gift cert remains. I&#39;m drawn to the Amy Butler Organic Soul fat quarter bundle. thanks for the chance! So, I&#39;m more of a scavenger and re-user when it comes to quilt fabric usually but I love the idea of organic fabrics and even if I don&#39;t get the gift certificate, I felt so inspired by a combination of Amy Butler&#39;s English Garden Bluestone and Pine with blue, lavender, orange, and lime solids, that I might just go ahead and get those no matter what. That Alegria collection is just wonderful. I am already dreaming of projects to put this fabric in. Thanks for the chance to win. Simpatico is high on my wish list but I also really like Wombat Wonderland. Thanks for the chance to win a gift card and for sharing a new store! I would buy some of the Chick Chick by Nancy Mims or buy the Summertime Picnic Fat Quarter Bundle that has some of the fabrics in it. Love the Reds, Blues and Yellows in that line. Thank you! Ooo, that grey dog print by Sara Lee Parker is super cute – I would probably buy a couple of FQ&#39;s of that because I have never seen it elsewhere. I&#39;m loving the Alegria. But the Amy Butler prints are divine too. It would be a really hard choice! Thanks for the chance! I like the Simpatico line and the Chick Chick! So cute!! Thanks!! I would love some Tilly fabric. I would love some Amy Butler especially that dark blue. It looks like she will have new fabric coming soon too. The Simpatico FQ&#39;s are my favorite! Thanks for the chance to win! So pretty choices, but at this time of year The Festive Garlands quilt kit would be perfect! Great fabrics! What a lovely shop! I would love to get some of the Stitch by Betz White!! I would buy anything Amy Butler!!!! Love the selection! I&#39;d buy the birdie sling kit! :D<br /><br />Thanks for the giveaway! Some very lovely choices! I&#39;d like some Organic Zoofari in Stripes Blue, Dots Blue and Leaves Green…and some Micro Mod in TickTock White, Seaweed Purple and Night Vision Teal. Thanks for a great giveaway! I like all of the organic solids. I need to build my stash of solids. I would get the Shades of Grey line. It has nothing to do with the books either. 🙂 Love black, white and grey! I would have to get a fat quarter of the &quot;grey dogs&quot;, with my love for dogs, this fits the bill. She has a wonderful selection and variety. I&#39;d definitely purchase some of the motor scooter fabric. It pulled at my heart strings. Some Simpatico fabrics. Thanks for the chance to win. I would choose some Simpatico by Cloud 9 fabrics, they&#39;re really lovely. Thanks for the chance to win. I love the Organic Willow by Riley Blake and Simpatico by Cloud9… Thanks! I would love a copy of Free Motion Quilting and some Geocentric Canvas Tridents Ocean. <br />Lots of lovely options. I&#39;d get the Kalamkari charm pack. Love the floral and such pretty colors. I wouldn&#39;t be able to decide!!! Geocentric!? Thanks for the chance to win. I am so hooked on the Simpatico-Chevron/Golden. I already have the pattern picked out for a baby quilt. What pretty fabrics! I would get the Organic Soul by Amy Butler Fat Quarter Bundle. It has beautiful fabrics and would make a fun project! What a tough decision ! I think some Saffron Craig would be my first choice ! Very pretty fabric. If I won the gift certificate I think I would get some of the Safari Sweetsweet indeed. If I won, I would get the three bundles of Simpatico fat quarters. Thanks for the introduction to a nice online fabric shop. I like the Havana but the Alchemy one is pretty too! Oh my word! What a cute new shop! I would use my winnings toward the Christmas Garland Quilt! Such a cute idea! If I won I think I&#39;d have to have some of the geocentric canvas Tridents ocean and a Simpatico – Minty Fat Quarter Bundle! Lovely fabric! I would love to have the 3 Simpatico bundles! Thanks for the giveaway!! What an awesome selection! I would love me some wombat wonderland for my new baby girl&#39;s quilt! The Alegria fat quarter bundle is adorable! I&#39;de love to get it for free! Thanks!!! I&#39;d buy the new Modern Patchwork book and some fabric! I&#39;d buy some RB willow. Thanks for the chance. I would buy the Kalamkari Medley – Indigo precuts and use it in a special quilt for me. I would buy some Robert Kaufman organic solids and probably the Hexagogo book. Thanks! Omg!!! The wombats are adorable!!!!!!! Gotta get me some of those!!! Thx for the giveaway!! I would like to have any Amy Butler&#39;s fabric. Thank you very much for the giveaway! I am brand new to quilting. I am currently working on one following your beginners guide. If I were to win I would buy a few of the grey dogs fat quarters. I wouldn&#39;t be using them right away because they are too gorgeous to be beginner fabric. I&#39;d like an assortment from Harmony Art. Beautiful! Wombats! It would definitely have to be wombats!<br />Thank you so much for a great giveaway. The Kalamkari block prints are beautiful! What a great givaway 🙂 Thanks! Thanks for the giveaway. I&#39;d buy the Stitch by Betz White FQ bundle. Hands down, I would buy some wombats! I would buy the Groove quilt kit. I know just the person that would love that for Christmas! Hmmm … tough decision. I would get Alegria Walkabout or Bouquet, along with Elizabeth Hartman&#39;s Modern Patchwork book. Thanks for the giveaway. Wow! I have to say that I am really impressed with the fabrics of Honey Bee Good. They are lucious. If I won the gift certificate, I would have to have some Crepe Myrtle in lavender. But the whole Organic Willow line, Pure Organics by Robert Kaufman, and many more are now on my wish list. I would get the nursery flannel fat quarter bundle and use it to make a baby quilt for a friend is due in three weeks! I would purchase the Groove Quilt Kit with the $25 gift certificate. Love the colors. Wow, they have some beautiful fabric. I loved the Birdie Sling Amy Butler bag kit. Looks like fun to make, and I would love to have my own bag! Thank you for the chance to win. My favorites are Across the Pond, and any of the wombat fabric! I hope to purchase the Across the Pond Bundle, the colors are really beautifull.<br />Thank you for this giveway !! I loved the Harmony Art collection. I would love to try organic cottons. I would use the gift certificate for some of the beautiful Alegria fabrics with flowers and birds! Oh my gosh! I would definitely pick the Wombat Wonderland!!! Darling! Probably some wonderful Robert Kaufman organic solids. Wow! Hard to choose just one, but the Kalamkari charm pack in Olive is calling out to me! Anything Amy Butler. Her fabric is as addictive as chocolate. Would love to try a grandmother&#39;s flower garden in her fabrics! I&#39;d purchase the yellow and grey fabrics which are featured in the blog! I am liking the mircomod fabrics and some of the patterns on her site. I would definitely buy some of the Wombat Wonderland fabrics. They&#39;re so cute and unique! Hello! I love your site! I&#39;ve been wanting to try my hand at quilting for years abut never have. I think I&#39;ve finally gotten inspired to do so. Thank you! If I won the gc I would definitely pick up the Kalamkari Charm Pack in Olive Green. So beautiful! I think I&#39;d buy the free motion quilting book – everyone&#39;s been raving about it and I think it&#39;s time for me to jump in to the deep end! I am excited for the chance to win! I am sure I would buy some Amy Butler fabric…AWESOME! Thanks so much! Hmmm, so many yummy fabrics to choose…I like the Organic Soul, Organic Willow and Alchemy Organic collections – so I;d buy a few half yards of some of them. I think I&#39;d go for some of those cute Monaluna scooters, and maybe some solids to supplement my stash. Thanks for the chance to win! Monaluna, for sure. Love those solids! Thanks for the giveaway! I am really liking the Across the Pond FQ bundle, and any of the cute Wombat Wonderland! I am loving that Havana collection! I could use a whole bundle of those cuties. I love Riley Blake material, and need to make a baby quilt so that is what I would choose. Thanks, a nice giveaway! OOO I would definitely get some of the Alegria Blue Birds and Walkabout, and some of the hearts in blue. I love also the Wombat Wonderland, sunflower garden. I wish I could get the grey dogs in a larger piece… Thanks for the giveaway! Love the Alegria…the blooms in blue and pink. I am a blue person…love the birds. Wombat Wonderland is wonderful! My grandchildren would love it too. My sister is having a baby in February. I&#39;d love to buy the Ele-fete flannel to make a sweet baby quilt. And the wombats are just precious! This is hard but I&#39;d definitely get the Harmony Art – Evelyn fabric and some of the wombat fabric too. I would buy FABRIC!!!! Specifically, I LOVE the alchemy line, especially the zinc print. Thanks! My sister-in-law just had a baby. I would love to get the organic zoofari animals. Thanks for the opportunity to win! thanks for the chance at such an awesome giveaway, http://www.honeybegood.com/Alegria_by_Cloud9_Organic_Fabric_s/1822.htm I would probably get some of this. I would be so excited to get the fat quarter bundle of Organic Soul by Amy Butler! What a great shop! There are some pretty nice things in there. I will be shopping there this weekend! I saw a lot of stuff I want. Thanks for the introduction! Definitely the Wombat Wonderland from Saffron Craig. I love purple and wombats. 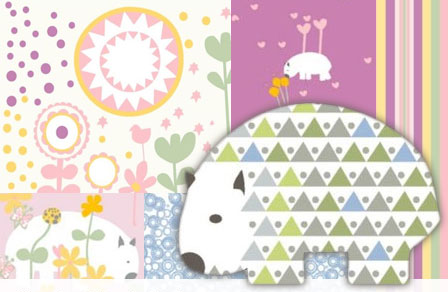 Love the wombat fabric line….would make such a cute baby/toddler quilt. I would wither get the hazelnut medley or the summertime picnic bundle. Not sure what I would make but I love those colors! Oh, the possiblities. I am torn between a baby quilt or a tote. Amy Butler fabric is very tempting. Thank you for the opportunity. I&#39;m working on a baby quilt, and Pure Organic by Robert Kaufman Pear would be a perfect addition. But, I really really love Organic Soul Night Tree Cilantro! i love those tea towels by sara lee parker. and also the simpatico. thanks for the giveaway! Harmony Art Sateen! I have been wanting those exact colors for my living room curtains! If I won, I think I&#39;d have to get some fabrics from the Havana line. i would love to buy Tilly – Essence &amp; Plum Hemp Linen with the gift card!!!! I&#39;d put it towards a whole bundle of the Stitched by Betz White collection – I need a fall-ish quilt and this fabric is just right! I would pick a quilt kit! Probably the Sarah Parker textiles since they are from Georgia. So many choices! I would buy &quot;Free Motion Quilting&quot; by Angela Walters, or some FQ&#39;s of those Sara Lee Parker Prints. Yum! I love all the simpatico prints. Maybe inthe quilt for this new baby girl? I would love to buy the Fat Qtr bundle Across the pond! I&#39;m sure that I would be able to give either the wombats or the zoofari animals a good home!! Very excited to see Harmony Art! That&#39;s definitely what I&#39;d get! the nursery flannel set would be a great stash builder for gifts. Love the Zoofari and Sweet Safari fabrics! Nice fabrics for a baby quilt! I would love to purchase 4 yards of the Tilly – Essence for the backing on my 1st sampler quilt for my son. I took classes and made 2 sampler quilts at the same time and now I am hooked. I prefer to buy organics when possible – in support of the safety of our earth and humanity. <br /><br />With a gift certificate, I would buy some Monoluna Havana – On The Go in Blue – and some other fabrics to coordinate with it. I have a brother who would love a quilt made from this. I would love to have AMy Butler. I&#39;d be seriously tempted by Algeria-Walkabout–because it would help preserve memories of warmer weather throughout the winter as well as sustaining the promise of warmer weather to come. And I just love the blue birds!<br />Thanks to the two of you for doing this give away! Those little wombats have been calling to me lately, so I&#39;d have to add some of them! Fun new products that I have not seen before. I would ;ile to buy the batting, pillow forms, or the Summertime Picnic fat quarter pack. Thank you, Amy, and Karen for this great giveaway…thrilled to be the winner!! !